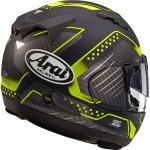 I'm extremely pleased with the handling and speed of the delivery of my new Arai QV shipped to Sweden. The helmet is superb and this is the 4:th Arai helmet I own. 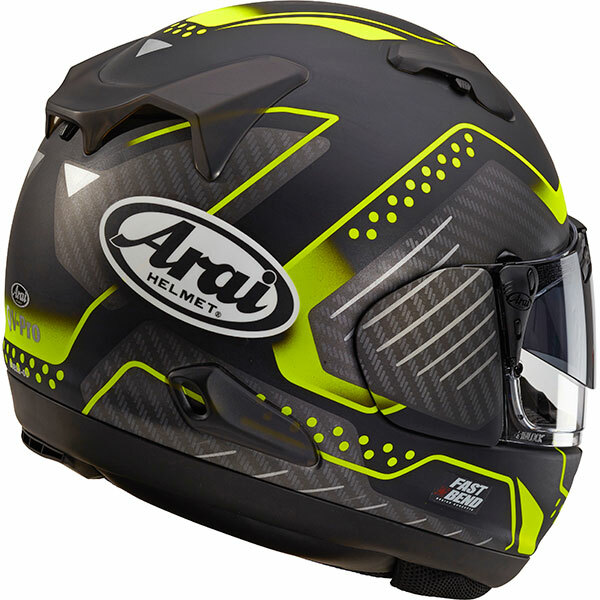 Arai helmets stands out in quality. 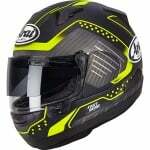 The helmet comfort is very good and as a MD the protection must be the absolute best on the market. I recommend the helmet to all sport-touring drivers. The QV is nothing less than an ultimate sports-touring helmet. It features the advanced VAS technology of the RX-7V and even shares the same outer shell, but with different ventilation. This rounder, smoother and stronger shell with an intermediate oval fit offers the important 'glancing off' properties needed for superior helmet performance in real world impacts. 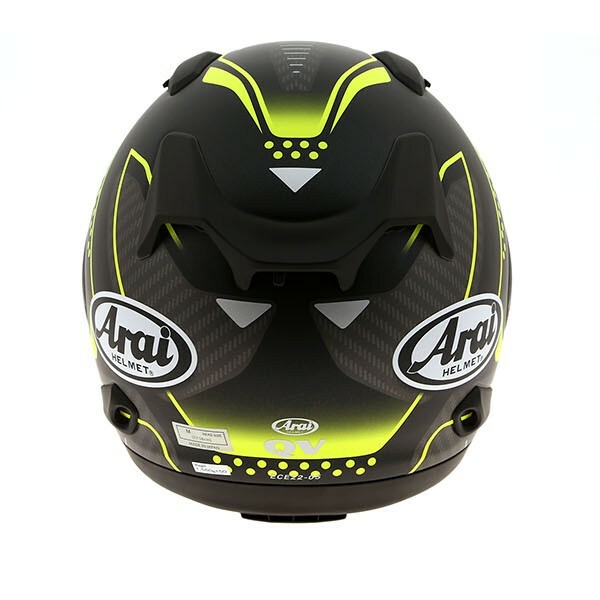 The VAS (Variable Axis System) visor pivot offers a larger smoother and stronger outer shell area. 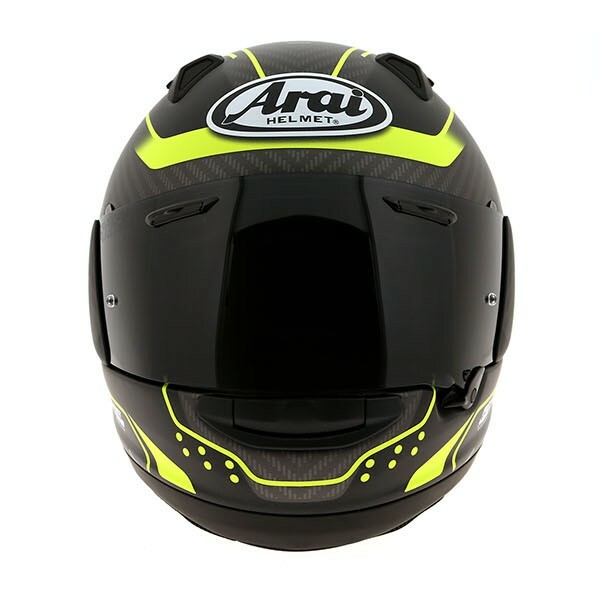 The QV has been designed as the ultimate all-round helmet with the advanced technology of the RX-7V, but also answering to the demands of the very large segment of sports-touring riders. PB SNC2 Shell - Newly developed resin creates stronger bonds between shell materials with less weight. 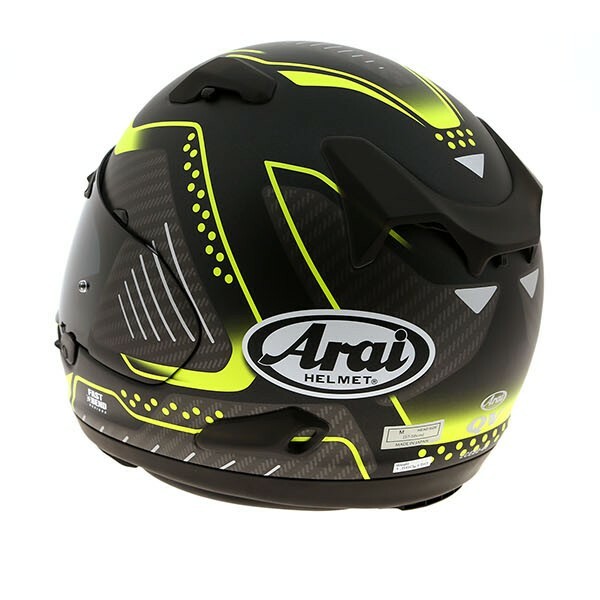 Super Fibre and other special synthetic fibres, with superb tensile strength and flexibility characteristics, developed for F-1 helmet visor panel, assembled and bonded by Arai experts. Eco Pure Liner - The fully removable interior liner system has been improved with new Eco Pure material, which helps maintain neutral acidity levels close to human skin and antibacterial consumption. With the aim of a softer, deeper and even more comfortable fit, we developed a new softer liner frame material. 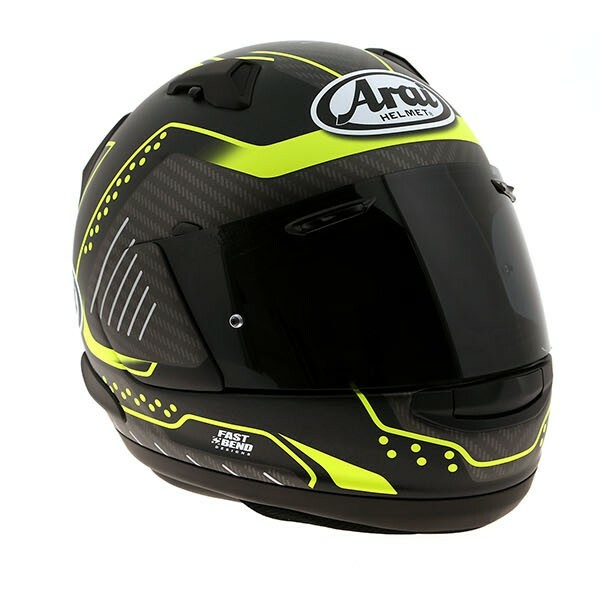 VAS V MV Visor - VAS MAX Vision visor is standard to provide better visibility in all seasons and for all types of riding. Comes standard with Clear anti-fog Pinlock insert to be installed as needed. Increased field of vision thanks to a taller and wider visor, when compared to previous versions. Visor Mechanism - VAS visor latch system captures and holds the shield more securely closed to help prevent unexpected opening. In addition to a demist function, the larger latch design allows for an intuitive and seamless operation of the shield. You can remove the pro shade visor, but the visor clips will remain fixed to the clear visor.